Our clients have had the pleasure of living and raising their children in their lovely solid brick home on a beautiful large block in Campbell. As their children grew, their family dynamic changed and over the years their home undertook a series of extensions. In recent years our clients retired and realised another change in the family dynamic, now with only themselves living in the home but blessed with visits by their extended families. Our clients realised that they needed to make changes to their home so that they could reach their home’s full potential and enjoy the lifestyle that they were dreaming of, whilst also future proofing the home for their needs. 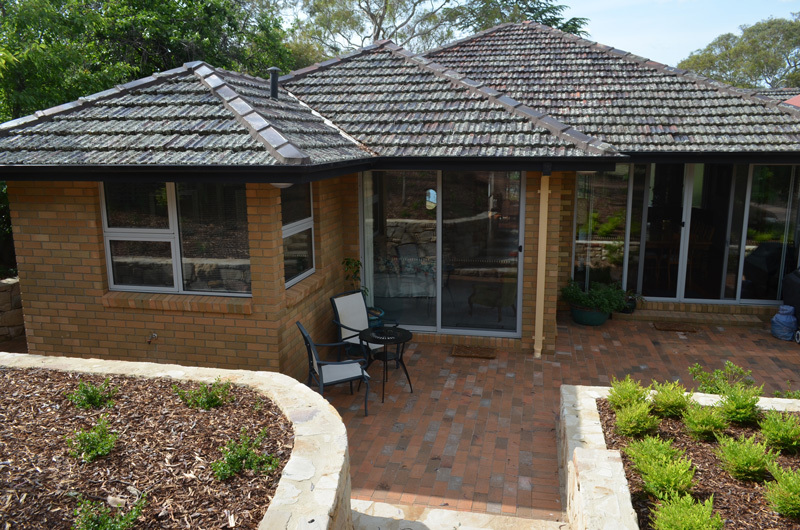 It was our great fortune that after our clients sought advice, the Master Builders Association had recommended them to contact Build Professional. After discussions between the Build Professional team and engaging the design and build process, collectively we were able to provide a concept that exceeded their expectations. The issues with the original home were a result of the series of previous extensions; the home had become disconnected between the living areas. High on the priority list was more of a modern, open plan where the kitchen and living areas were integrated. Our clients also longed for more natural light and to make use of the northern aspect and wonderful views that are a feature of the home. Their dining room table was extremely large to service the extended family, however, in the existing home it consumed the living space and they required a designated dining space without compromising the living area. Another area of concern was the existing Master bedroom not having access to an ensuite. The kitchen and laundry were also dated, pokey and lacked storage. Another grievance was the original bull nose awning over the front door that water cascaded when it rained and as they did not have internal access from the garage, they were often soaked whilst trying to get in the front door. The Build Professional team came up with a design concept following their brief and they were absolutely thrilled with the plans. Our design solution included the addition of a new master suite including an ensuite and walk-in-robe, re-configured laundry and kitchen, with the kitchen connected to open plan living areas. Internal walls were removed to open the kitchen, living and dining areas to achieve a much better flow throughout the home whilst saturating the areas with light from the northerly aspect and offering fantastic views to Mount Ainslie. Spotted gum flooring transitioned beautifully throughout the living areas. Now that the flow of the home was corrected the dining table sits perfectly proportioned in its own area. The original fireplace in the living room was removed and replaced with a wall of double glazed aluminium glass sliding doors that offer light and beautiful views to the back reserve. Internal modifications including a feature glass wall and joinery buffet were made to the entry hall to continue the open and light-filled flow. A flat pavilion roof was engineered and designed externally above the front door enabling the gutter to flow continuously with the existing guttering. New double glazed aluminium sliding doors were also added to the front terrace and a tall glass balustrade was constructed on the west side of the terrace as a practical solution to assist in blocking wind so that the terrace could be utilised to its full advantage. An automated shade devise controls the heat and shade in summer and retracts in winter to let the home capture the solar benefits. Build Professional proceeded to turn our client’s dreams into reality with construction time taking 19 weeks. This was a result of a well organised and careful planning approach that helped the construction team to execute on time and on budget as expected.